CPU What processor model does the laptop have? Processor Speed # of operations per second. Higher number = faster processor. RAM How much RAM does the laptop have? RAM Upgrade Is it possible to increase the RAM in the laptop? Storage Type What kind of storage drive does the laptop use? Drive Upgrade Is it possible to add another drive to the laptop if you want to upgrade it? Optical Drive Does the laptop come with a CD/DVD drive? Operating System What operating systems is pre-installed on the laptop? Number of USB Ports How many USB ports does the laptop have? Has USB-C Ports Does the laptop have a USB-C type port? Audio Ports What kind of audio inputs/outputs does the laptop have? Other Ports What other ports are on this laptop model? Replaceable Battery Can the battery be taken out and replaced with a fully charged one? Display Type What kind of display does the laptop have? Display Resolution What are the dimensions of the display screen, in pixels? Touch Screen Does the laptop have touch screen controls? Trackpad Features What features does the mouse trackpad come with? Webcam Is the laptop equipped with an integrated webcam? Accessories Included What is included in the package? Tablet Function Can the laptop be converted to a tablet? Type of Tablet Does the laptop fold up or detach the keyboard for use as a tablet? Wi-Fi Does the laptop support wifi, and what protocols if possible? Bluetooth Version What Bluetooth version does the laptop use? Rank: #5 out of 184. 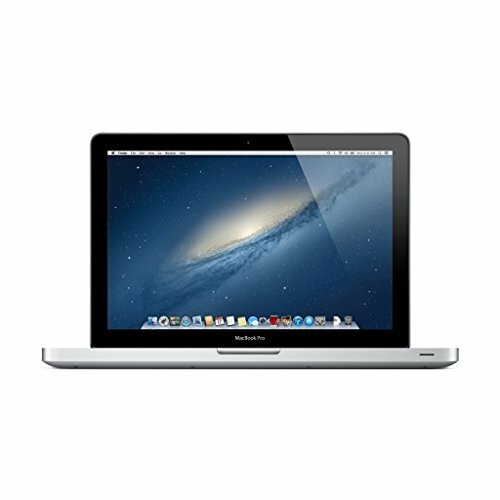 MacBook Pro is a very popular option on the higher end of the price range. It's in the top 3 bestselling laptops and has dozens of popular alternatives in the same price range, such as MacBook Pro 13" or Dell Inspiron 15 5570 . MacBook Pro is CDN$ 573.13 more expensive than the average laptop (CDN$ 1140.88).